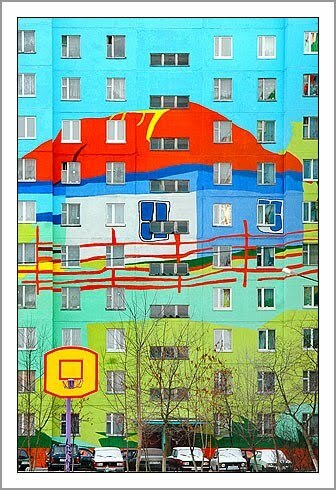 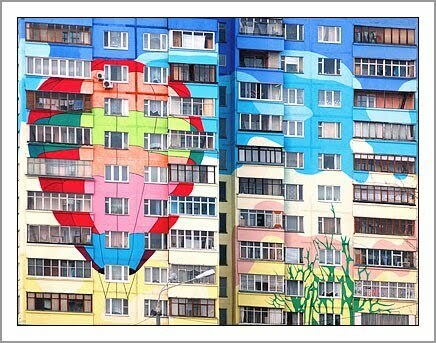 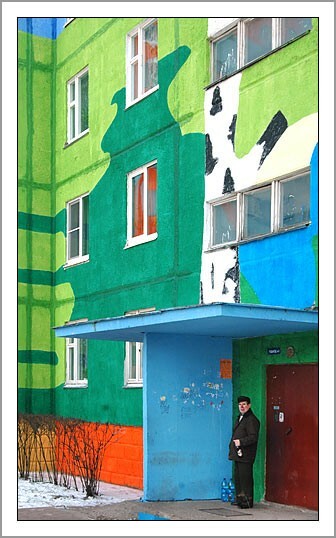 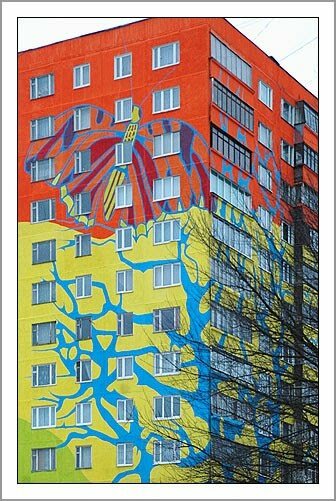 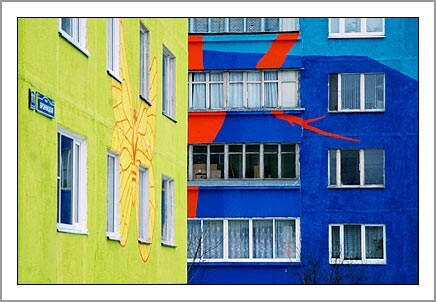 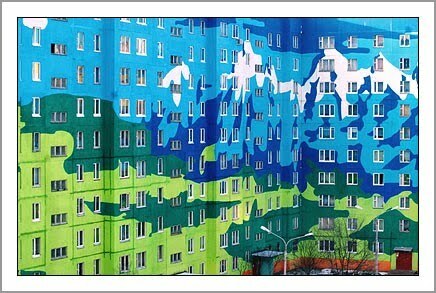 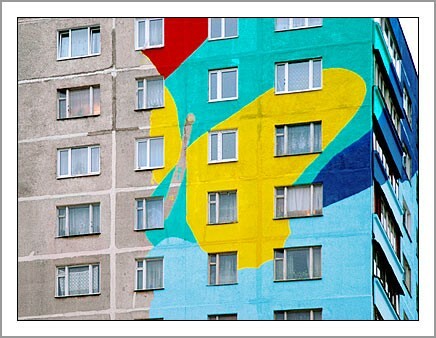 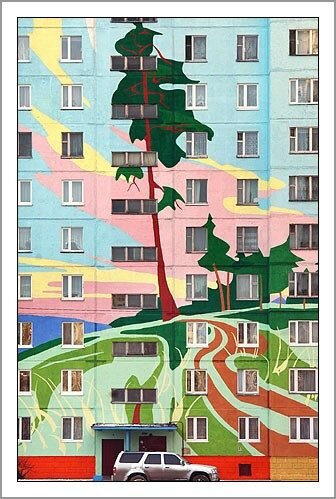 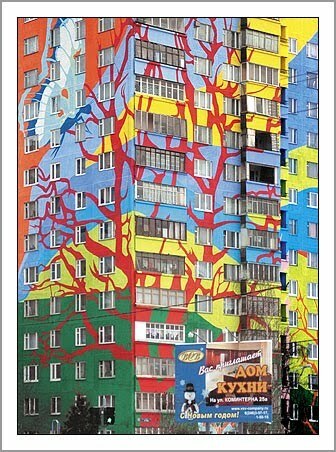 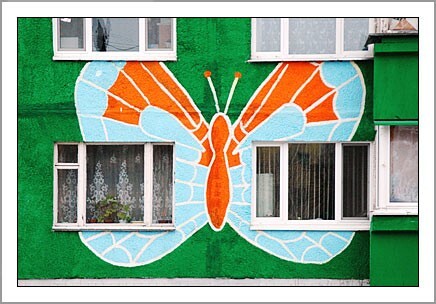 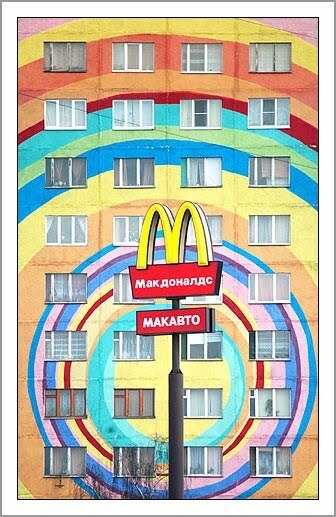 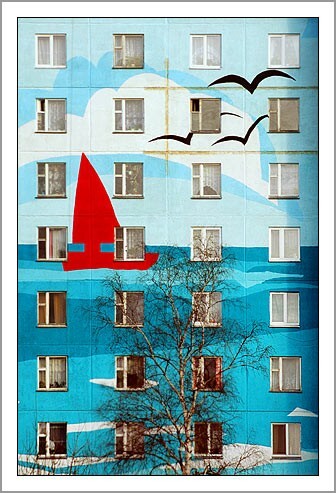 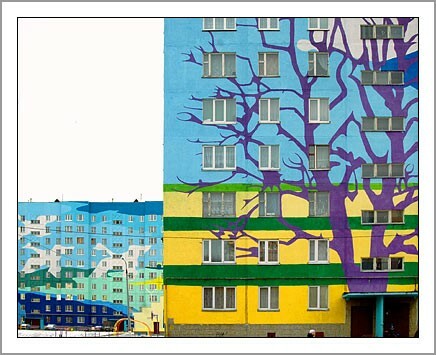 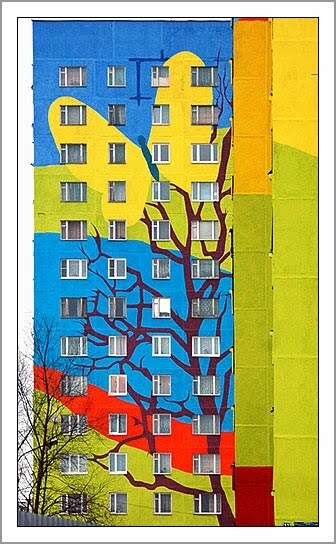 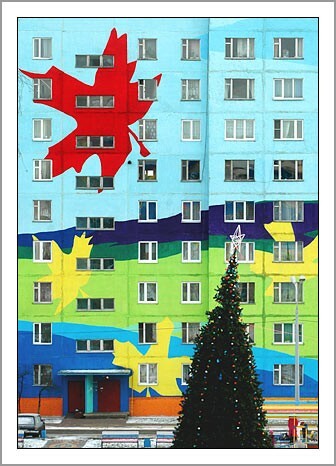 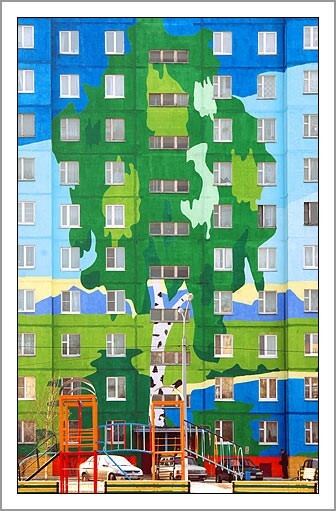 Awesome looking apartments block in Russia. 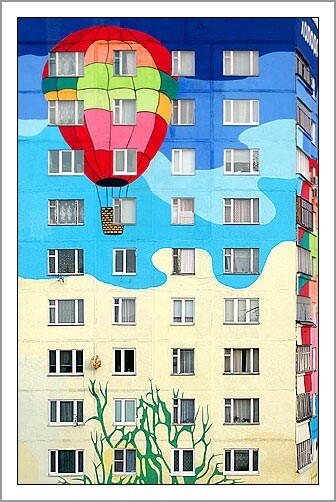 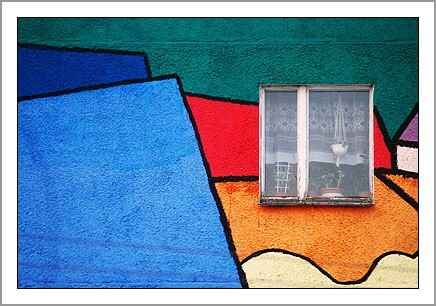 Lots of color and great paintings. 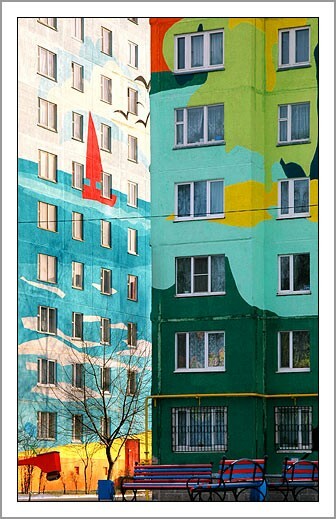 That is exactly what these apartment buildings have had added to their front facades.